Philip Harold Rhoades was born about 1952, son of an industrial chemist Gerald Rhoades and his wife Dorothy, a former science teacher. Philip Rhoades was originally a biologist. He was a haemophilia researcher with the Red Cross Blood Transfusion Service and a PhD student of computer simulation of population genetics. He is a director of software companies Pricom Pty Ltd and Quad Point Systems Pty Ltd. In January 2004 he was working at the Australian Centre for Advanced Computing and Communications and was affiliated with the Biological Sciences School at the University of New South Wales. In the 1980s he was active in the anti-nuclear protest campaign. His other interests include environmental and political issues and the Parramatta Rugby League Football team. Philip Rhoades is an executive member of the Cryonics Association of Australia, and, with their permission, plans to freeze his parents? bodies after their deaths and keep them on his Cowra property in the central west of New South Wales. 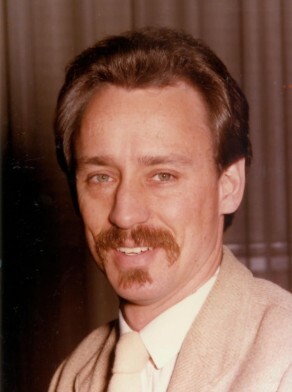 Phil Rhoades was Alderman for Flinders Ward, 14 April 1984 until 26 March 1987 when the Council was replaced by City Commissioners. Rhoades was Chairman of the Properties and Housing Committee, 1984-85 and a member of the Community Services Committee, the Budget Management Committee, the Works Committee; and the Health Committee in 1984. Between 1985 and 1987 he belonged to the Finance, Industrial Relations, Budget Management and Equal Opportunities Committees. He was a member of the Australian Labor Party.